Formal education they say is the greatest legacy you can give to a child. Education is for the purpose of enlightenment. It is for the purpose of liberating you from the shackles of ignorance and widening your horizons about life. Education is the bedrock of success on which other values are built upon. In Nigeria today, with the over 60% rate of unemployment, education has been a chain causing the limitation of higher institution graduates. This can be due to the high level of theoretical knowledge been gathered in school which over 90% of students can't translate into practicality. Due to the limited chances of the labour market, employers have been demanding for the 'extra' from job applicants or employees. In the past, it used to be a case of companies putting employees through a trainee programme for them to acquire some top skills needed to perform their duties in the firm. Today a lot of things are changing. The culture of "On the Job Training'' (OJT) is beginning to die gradually. Most companies go after individuals with experience no matter where they acquired it and then compensate them for it through adequate payment. They are not ready to waste any resources training any worker that will leave in a twinkle of an eye at a chance of a better offer by a bigger company. Several University graduates finish school with brilliant results but ironically become unfit for the labour market due to their inability to cope with the realities on ground. During my ignorant days of searching for jobs, I used to hear this question; what can you offer us? I took the question to be an insult. I believe being a University graduate answers it all after all I went through rigorous tests and trial period to acquire my certificates. I never had a concrete answer to that question. I exhausted several attempts beating around the bush which never worked well for me. It took me time to understand the magnitude of the question. The company's major motive is to hear you align your skills and ideas with the goals or aspirations of the company. Some top companies only use your certificates as a template for qualification for the interview phase. What you can offer will secure the job for you. This happens mostly in Lagos. It is a game of you producing results against all odds. A lot of youths gather academic qualifications with no definite job experience or personal skills. I think this should be discouraged except if you intend to tow the lecturing line. Masters degree holders always wish to be executively employed one day with several B.sc holders under them in no time despite their experience. This has prevented thousands of Nigerian graduates from starting small. The picture of top bank executives have blinded the thoughts of people or let me say they are fooled by the high life seen in movies being lived by people of their class. I belonged to this school of thought for a very long time. I achieved nothing for years. Nigeria is a country where resources are so strained that good chances hardly come. The best you can do is to be engaged with SOMETHING. Develop with the industry your work is aligned with. Get exposed and develop yourself. Opportunities in that line or a similar industry will always come knocking. Every company today is looking for workers that will hit the ground and immediately start running; not someone that will be spoon-fed. What am I saying in essence? Certificates have enslaved many. They don't have the entrepreneurial skills to set up their own businesses, some that possess those skills lack the required capital. These same people are not ready for a job that doesn't suit their status. The available companies too are not ready to risk employing an individual that doesn't have adequate experience about office proceedings. Hence, the cause of stagnancy. You send your CVs to several companies online and never get a single response from one. Even when you do, you travel for the interview and make no progress. The best that comes out of it is you being a philanthropist to the transporters out of the little money you have. It is painful when you have to travel to a distant state to attend the interview. Formal education should liberate you and not limit you. Formal educate is like a fishing equipment e.g. a fishing net or a hook and line. The labour market is the water body e.g. river, stream, ocean, sea etc. blessed with fishes. How you utilize the hunting tool in your possession will determine the number of fishes you amass with time racing against you. Here is my candid advice. I made some certain mistakes that I wish I could turn back the hands of time to fix. As long as I can't fix it, I have decided to champion a cause to correct individuals making the same mistake. After school, either before or after NYSC or may be during a break or a long strike like that of ASUU, simply get busy with something concrete. Make sure it is something that could occupy space on your curriculum vitae. It could be writing articles, blogging, learning photography, Photoshop or graphic design, fashion designing, web designing, web development, software development, content editing, cinematography, Microsoft word, PowerPoint, Microsoft excel, Corel draw, cinematography etc. It doesn't matter if it is not bringing in the instant cash. Some of these are basic skills that compensate for poor certificates. These skills can make you more expensive to acquire than a first class graduate. This is not paperwork. It is all about bringing results which is a common slogan at the private sector. I used to work for an IT company in Ibadan as an Online Editor; I met this young lady working as the company's Secretary. She was writing her O 'levels examinations. She complained about online editing being added to her work. I made her realize it’s an added advantage and experience that could be beneficial to her in the nearest future. In Lagos today, some Media companies pay as much as a N100, 000 and above for online editing. 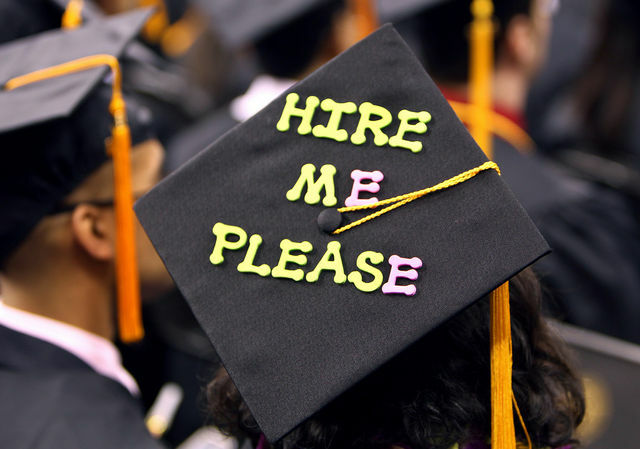 We shouldn't shun menial jobs too as undergraduates. This is a business age where there are diverse companies seeking to carve a niche for themselves in the economy of scarce resources. This has opened a world of opportunities for sales representatives and marketers. Employers in this field are only interested in a little experience as well as the intelligence on the path of applicants. We should endeavour to hijack any opportunities to gather experience any working experience no matter the duration and salary. It is a futuristic sacrifice that will pay off at the long run. Some people amassed a wealth of experience commonly working as office assistants during their undergraduate days during breaks. This gives them a head-start advantage in life ahead of their colleagues with better qualifications. We should never let our certificates instill the culture of an empty and baseless pride in us. We should be humble and embrace what comes our way pending on when better ones will certainly come. Siting back at home and relying on empty promises of top jobs by relatives and family friends could be a prominent thief of time. The Nigerian labour market has become so hard, hard people succeed there by taking hard decisions.